PORT MORESBY, Papua New Guinea — Disgruntled police, military and prison guards stormed Papua New Guinea's Parliament on Tuesday in a violent pay dispute stemming from an international summit hosted by the impoverished South Pacific island nation over the weekend, a lawmaker said. 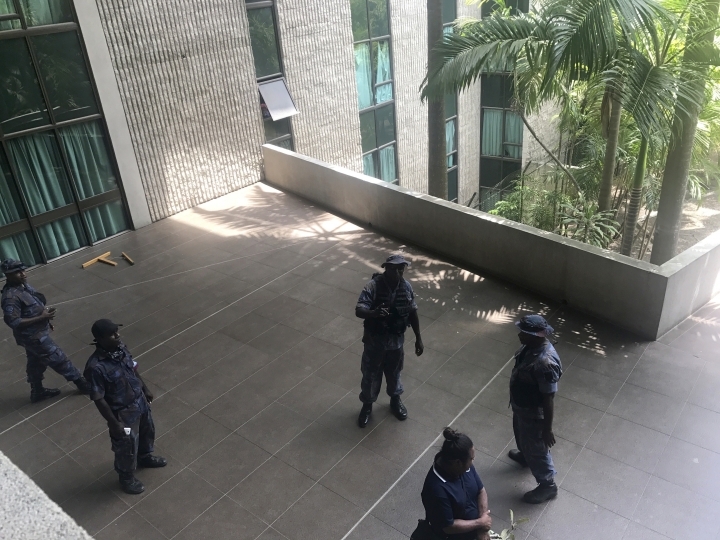 Parliament's security check point including a metal detector was trashed and doors were destroyed along with their fingerprint-reading locking systems, Kramer said. He said the protesters had not been paid their promised allowances for their security work at the Pacific Rim leaders' summit held in Port Moresby, a city described by the World Bank as among the world's most violent due to high unemployment and brazen criminal gangs known as "raskols." 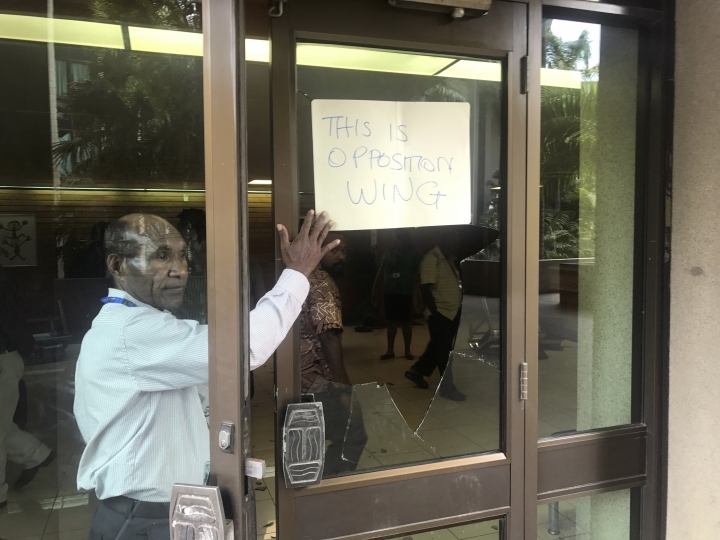 When the protesters tried to enter Parliament, "there was a confrontation between Parliament security and members of the security forces," Kramer said. "It erupted into a scuffle, several staff were assaulted as they made their way into Parliament." 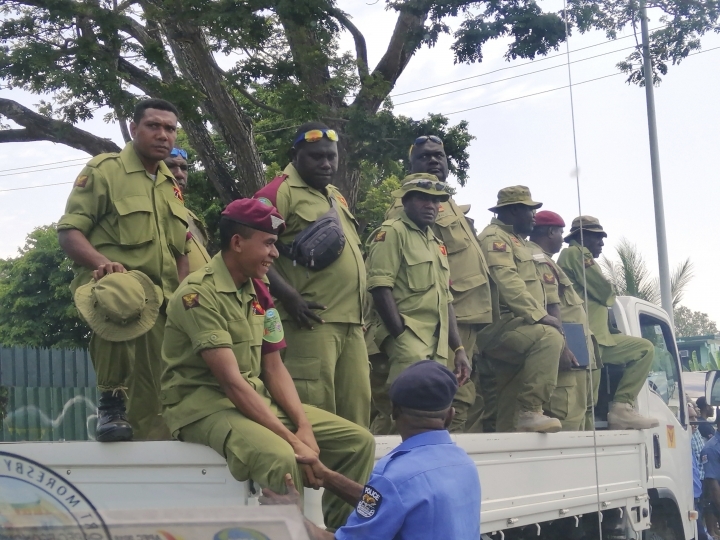 Neither Prime Minister Peter O'Neill's office nor police chief Superintendent Dominic Kakas immediately responded to requests for comment. "The meeting ended two days ago and the security operation is now winding down," Hawkins said in a statement. "The payment of individual allowances has already commenced and individual security force members should check with their banks as payments are made." A VIP terminal costing about $19 million was added to the city's airport. 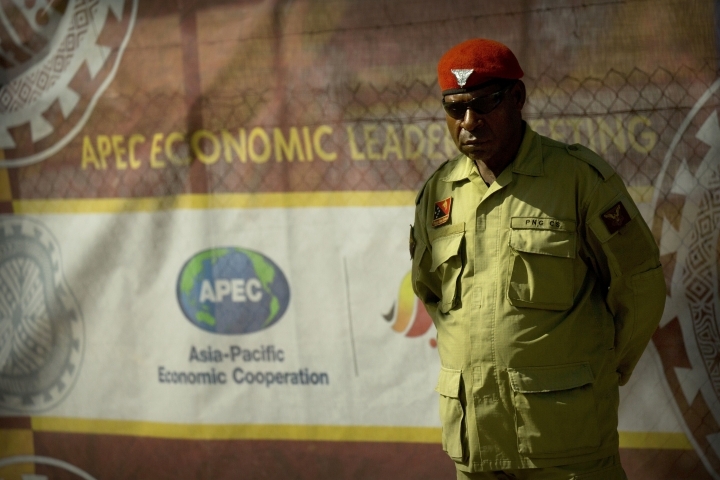 Construction of an iconic building called "APEC Haus" for the summit was paid for by oil and gas company Oil Search, which operates all of Papua New Guinea's oil fields, in exchange for tax credits. "I think the money should have been used to fix our backyard instead of decorating the front porch. We have health, education and infrastructure deficiencies that need to be addressed," activist and writer Martyn Namorong said before the summit.